Networking and Partnerships & E-government. 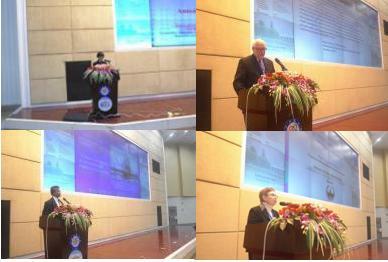 Innovation and Reform on Public Administration. Social Management & Human Resource Management. The Future on Public Administration. 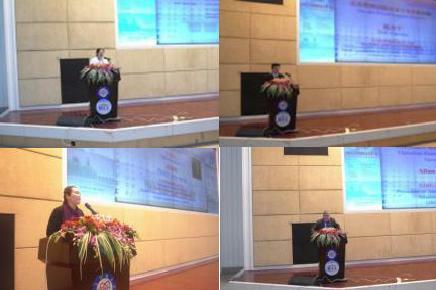 The conference was sponsored by UESTC, ASPA and the Chinese Public Administration Society (CPAS). 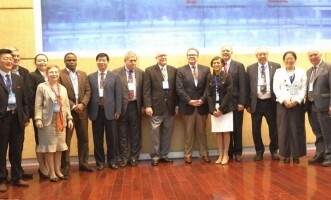 The Chinese Public Administration Journal (CPAJ), School of Public Administration, Moscow State University, Cape Peninsula University of Technology (CPUT) and PA Information Research Center of UESTC served as co-sponsors. During the opening ceremony, representatives from each of the sponsoring organization offered remarks. Professor Li Yanrong, current president of UESTC, warmly welcomed participants both from China and overseas noting that each ICPA meeting helped build a brand for the conference and provides a large-scale platform for international public administration. He explained that UESTC would accelerate the process of internationalization and strengthen the communication and cooperation with world top-ranking universities and academic research institutions. This will help improve academic research and cultivate talent in the field and to the society. ASPA President Allan Rosenbaum and Executive Director William P. Shields also delivered remarks that stressed international cooperation with scholars worldwide. Keynote speakers included Dr. GAO Xiaoping, Vice President and Secretary-general of the Chinese Public Administration Society and Professor James L. Perry, editor-in-chief for Public Administration Review. Over 679 papers were submitted to the conference for consideration. After peer reviews, 333 papers were presented and hot discussions were conducted on the sub-themes throughout the panel sessions. Among the papers presented, eight were awarded the 2014 ICPA Best Paper and 10 were given Best Honorable Mentions. On Oct. 26, a series of lectures specifically designed for UESTC students were delivered by Antoinette A. Samuel, former executive director of ASPA and current deputy director of the National League of Cities; Dr. Stephen E. Condrey, immediate past president of ASPA; Dr. Patrick Mendis, George Mason University and Professor Alla Z. Bobyleva, School of Public Administration, Moscow State University. The lectures focused on factors influencing city development, current issues in human resource management and new challenges and advances in public crisis management. The conference is indexed by ISI Proceedings (Conference Proceedings Citation Index – Social Science & Humanities CPCI-SSH, ex-named as Index to Social Science and Humanities Proceedings – ISSHP) through ISI Web of Knowledge in USA. To learn more about ICPA, visit their website.